What in the world is going on here then? Update: Corrupted data, not a hack, is behind the bizarre posts that are popping up on Tumblr, or so claims the blogging site. "Earlier this morning, an infrastructure failure lasting roughly 15 minutes led posts created in this window to become corrupt," a Tumblr spokesperson told TechCrunch. "No data was lost, but this has been causing inconsistent behaviour for these affected blogs. Our engineering team is working quickly to correct the situation." Tumblr tweeted that work is being done to repair "an issue causing incorrect posts to appear on a small number of affected blogs." Tumblr users also reported to TechCrunch that Tumblr was down about nine hours ago, and that it took 12 hours for Tumblr to respond publicly after users starting reporting the appearance of bizarre posts. Incorrect (and often NSFW) posts are apparently still appearing on users' blogs, and Tumblr didn't provide a time frame for when the issue will be resolved. Users are reporting that they still can't delete errant posts, according to TechCrunch. Something bizarre is happening on Tumblr right now – users are experience a number of weird images and posts appearing on their blog which they haven't put there. Scores of Tumblr users have been taking to Twitter to report strange behaviour, although it's not clear whether this is a hack or a pesky (albeit very clever) bug. Posts have ranged from pornographic pictures and random messages to even more bizarre things. One user even reported a picture of a vacuum cleaner being posted on his blog. What's worse is that these posts cannot be deleted, with a number of users reporting that they cannot even access their dashboards. Christopher Boyd, senior threat researcher at ThreatTrack Security, said: "We're seen similar outbreaks in the past which were confirmed Tumblr worms, but they typically focused on one specific post or message." He added: "If it's a hack, it's certainly more widespread than similar attacks in the past. If it's an accidental glitch, it's very alarming that content such as the above could arrive on entirely innocently blogs, especially as more and more companies turn to Tumblr as a corporate outlet." 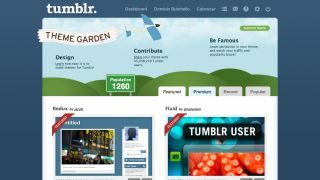 Tumblr earlier tweeted: "We're working quickly to remedy performance problems with some blogs. Thanks for your patience."